Image by Nan Palmero on Flickr. Some rights reserved. The next news:rewired digital journalism conference, which takes place on Friday 20 September, will cover a range of subjects, including breaking news, verification, mapping and online video. The agenda will also offer a variation of session styles, from panel discussions and case-study presentations, to more practical workshops. 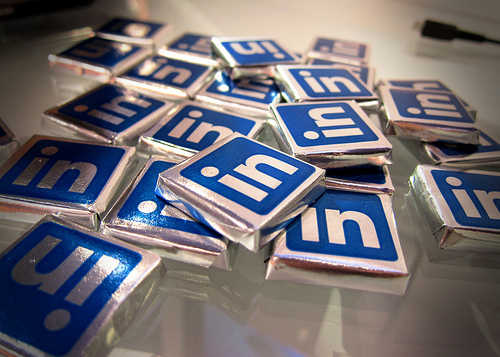 One of the workshops which will be on offer to delegates at the event will focus on LinkedIn, giving delegates a run-through of the different features available to help them in their news. Find out how the world’s largest professional network can power your reporting: from finding expert comment and keeping up-to-date with the organisation on your beat, to establishing your own professional identity and driving traffic for your stories. Other workshops running at news:rewired will include one dedicated to verification tools and techniques, run by Storyful’s Claire Wardle, and another detailing some of the key mapping tools for journalists working on data visualisations, run by data editor for the Guardian, James Ball. Here is more on the initial agenda and speaker details announced earlier this week. We will have more details to share soon. For those interested in attending, just a reminder that there is not a lot of time remaining to secure the limited early bird discount tickets we have available for just £95 (+VAT). We only put 50 of these on sale and and many have already gone. Once all 50 have sold, or by the end of Friday 31 May, whichever comes first, ticket prices will rise to the standard price of £130 (+VAT). As well as the discounted conference-only ticket (for £95 +VAT) there is also the option of a ‘news:rewired plus’ ticket, at an early bird discount rate of £280 +VAT, which gives entry to news:rewired on Friday 20 September as well as access to a Journalism.co.uk training course the day before (Thursday 19 September). Courses are run subject to demand and spaces are limited, so buy now to avoid disappointment. ‘news:rewired plus’ tickets are already available to buy at this link at the early bird discounted rate. Once the first 50 early bird tickets have been sold, or by the end of Friday 31 May, whichever comes first, the ticket price will rise to £310 +VAT. When you book a ‘news:rewired plus’ ticket a member of the Journalism.co.uk team will contact you via email to confirm which course you would like to attend.